The American Monument recalls the memory of the 70 000 American soldiers who took part in the fights of the front of Champagne during the First World War. The crest of Blanc-Mont was conquered by the U.S. Second Division on 3 October 1918 at the end of bitter fighting. The monument was designed by New Yorker architect Arthur Loomis Harmon. It consists of a tower with an internal staircase which gives access to a panoramic terrace that overlooks the battlefield. 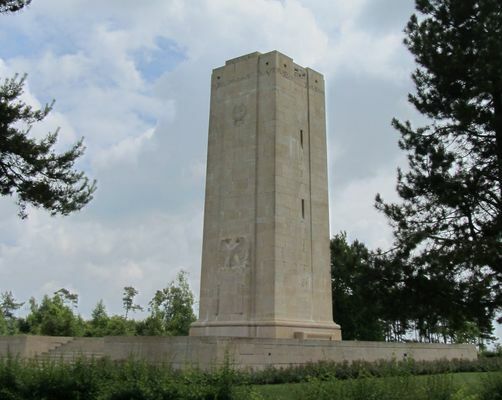 There is no review about Sommepy American Monument (Blanc-Mont), be the first to leave one !